A pressure tank is built to act as a container for gases, liquids, or air that is held at a higher pressure. 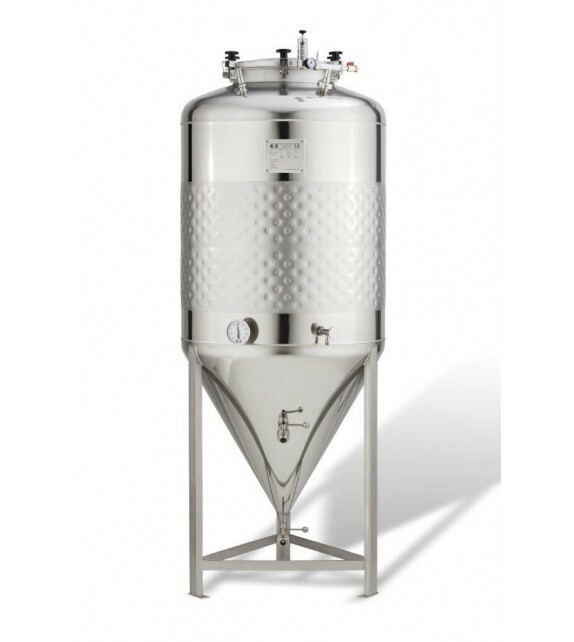 This kind of stainless steel tank can be used in different ways by both Industry and Private sectors. Some common forms of usage include industrial air receivers or domestic hot water storage tanks. Pressure tanks can also be used as diving cylinders, re-compression chambers, distillation towers, pressure reactors or autoclaves. These kind of tanks can also be found in mining operations, oil refineries and petrochemical plants, nuclear reactor vessels, submarine and spaceship habitats, pneumatic reservoirs, hydraulic reservoirs under pressure, and rail or road vehicle airbrake reservoirs. It can also be used as storage vessels for liquefied gases like ammonia, chlorine, and LPG (propane, butane). Developing and building pressure tanks can be dangerous. History has reported a high number of fatal accidents that have occurred in the past in relation to developing stainless steel tanks. As such, Australia has very strict guidelines and regulations when it comes to design and fabrication of a stainless steel pressure tank. At Weld Class Engineering, we pride ourselves as being an Industry Leader with the design and development of Stainless Steel Pressure Tanks. In this step we go through the thorough process of obtaining all the technical specifications and requirements of the client. These aspects relate to the most crucial details related to a pressure tank which includes the shape of the vessel and information pertaining to the materials which will be used for the construction, the length, diameter, internal pressure, and temperature, and etc. Using a pressure vessel design software, one should make mechanical calculations in order to know the required material thicknesses and weld sizes. After getting the design criteria from the client and making mechanical calculations, the next step requires producing fabrication drawings. To produce the drawings, you can use software like AutoCAD and produce it in 2D or 3D. After doing all these steps related to the design, the client and a third party inspector (A.I.) should approve the design. Once the design is approved, only then will the fabrication process can take place. The construction of a stainless steel pressure tank is a complex and intensive process. In order One must take note of all these steps to be able to produce a high-quality pressure tank. Cut the Plate. Taking note of the required width and length, cut a huge size of plate which is needed for the vessel shells. Cutting steel requires using a specialized cutting torch. There are numerous types of torches that are available. In choosing the right torch to use, always consider the type of material and the required edge quality. In this step, the usual thing to do is to cut the bevels on the edges. Roll the Plate to the Cylinders. Taking note of the required diameter, roll the plate into cylinders. Normally, one can roll the plate cold but it can also be rolled hot. Weld Long Seams of Cylinders. Do this by performing submerged arc welding. Fit & Weld the Pressure Vessel Cylinders. The usual process in welding pressure vessel cylinders involves doing submerged arc welding. But one only needs to do this if it is required to produce more than one shell to meet the required length for the vessel. Cut and Form the Pressure Vessel Heads. Using your chosen cutting torch, cut the plate for the pressure vessel head. After the cutting, form the pressure vessel heads either through flanging, spinning or press forming. Fit and Weld Heads to the Pressure Vessel Shell. Just like in welding the pressure vessel cylinders, this step will also need to do submerged arc welding. Provide Holes for the Nozzles. One must also cut holes into the steel plate which is needed for the required vessel nozzles. Usually, this is performed through using a manual plasma-arc or oxyacetylene cutting torch. After that, one must also do manual grinding for the final edge preparation. Install the Nozzles. Through a manual wire welding technique, weld in and install the nozzles and reinforcement pads. Install the Necessary Structural Supports and Lifting Devices. After installing the nozzles, one should also install the necessary structural supports and lifting devices. You can also the manual wire welding technique to do this step. Make Final Quality Checks. Ensuring the integrity of the design, material, and welding is a must. That’s why one should not miss making final quality checking. Doing this includes hydro, pneumatic, radiography, ultrasonic, and/or magnetic particle testing. Do Final Inspections. Along with the final quality checks, final inspections are also important. Doing this involves internal, customer, and third-party inspections.